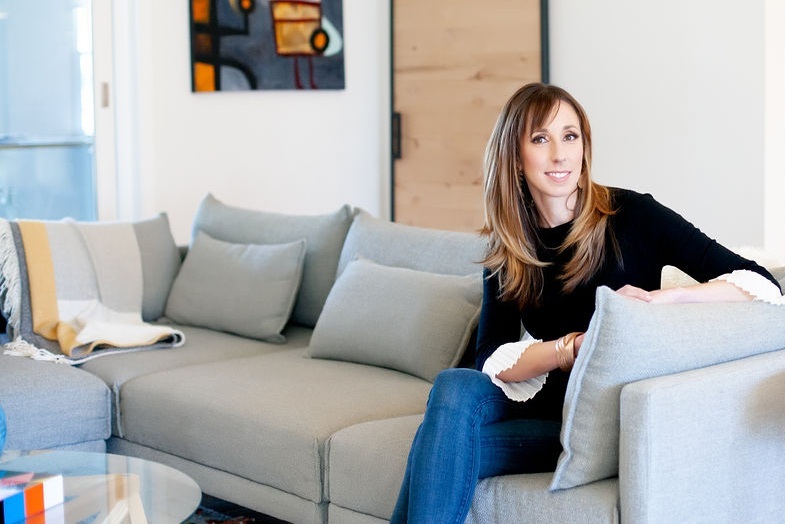 EKR Interior Design creates impeccable residential interiors and remodels with the highest integrity and a process that makes working with together fun and easy. My passion is making the most of your space and crafting it to serve you and your family's lifestyle. 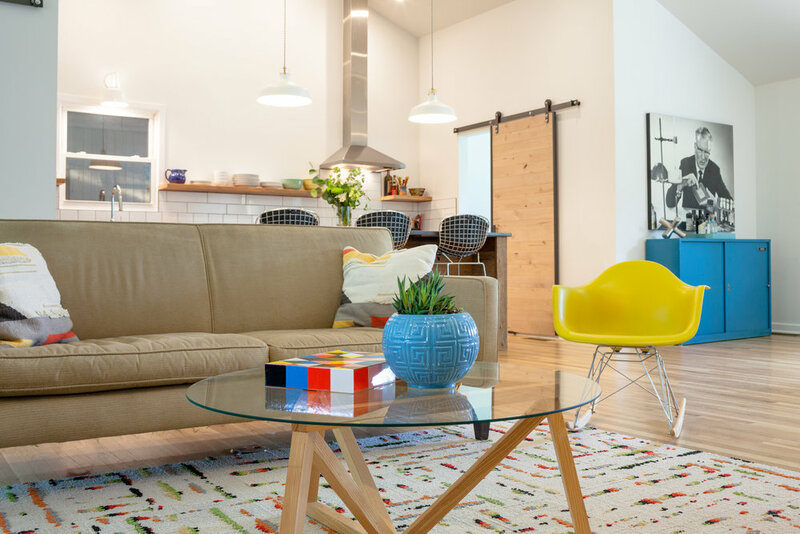 A 1964 ranch style home gets opened up and modernized. 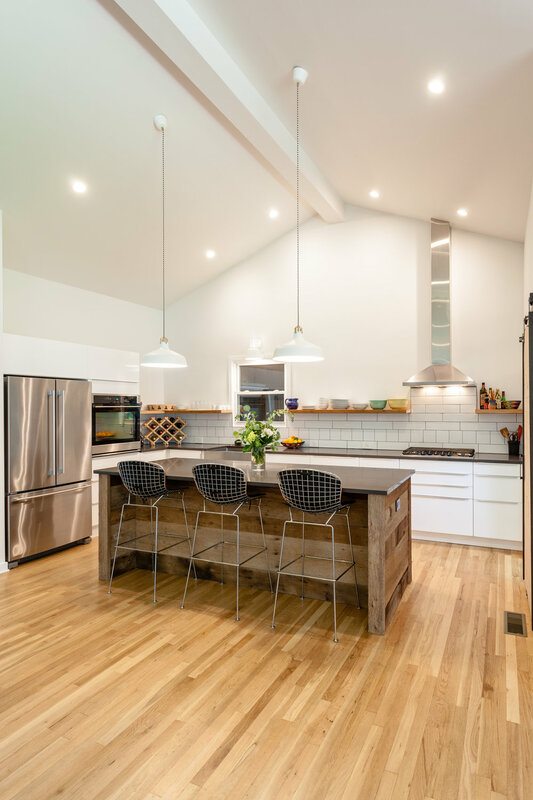 What was once full of tired, dated finishes, a tiny, dark kitchen, and a lack of sunlight has been transformed by an extensive remodel that involved a new space plan on the main level, vaulting the ceiling, new bathrooms, letting in natural light, and refurbishing the original white oak floors, and even reusing old ceiling joists. By implementing knowledge of materials and some unlikely sources, we were able to achieve a lot of look and function on a moderate budget. It was wonderful transformation from a worn out house to a young family's home base. A dark, dated basement gets a new lease on life and creates extra income. 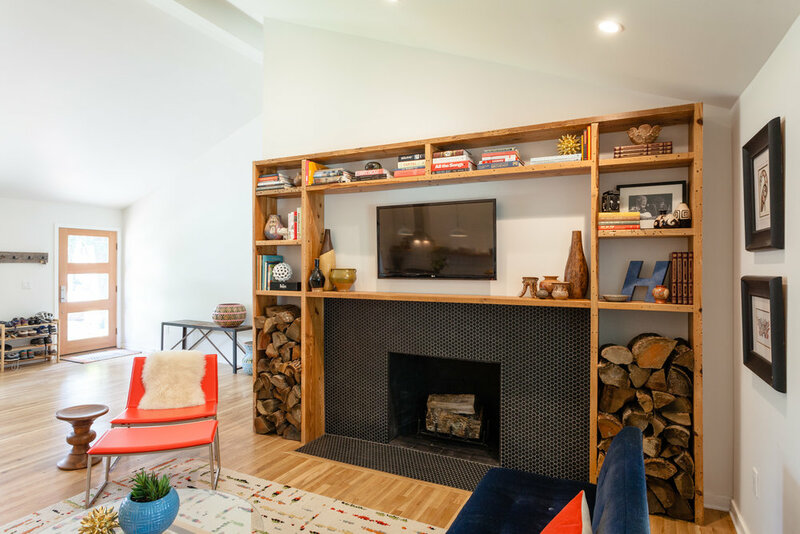 A partial basement remodel that turned a once dark, dank space that was dated beyond belief into a simple, comfortable, and relaxing space for guests. The space helps the family earn money and provides additional room when family comes to visit. 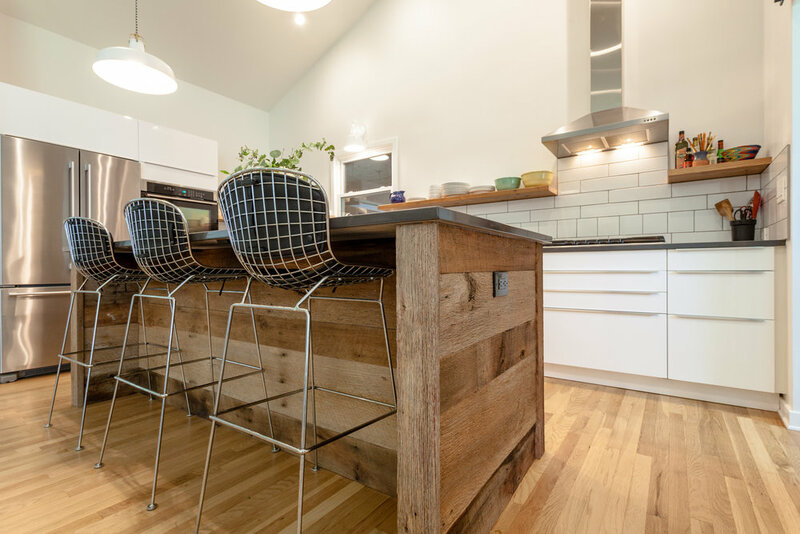 Working with existing items including the kitchen cabinetry from the upper level original kitchen, and keeping a limited budget helps them get the most bang for the buck from the space. The cork floors are warm and cozy, and white walls and ceilings help keep things light and bright. The space really turn heads on AirBnB and guests rave about the comfort and design. Modern function meets classic design in this high-rise. Clean and spare with touches of classical moldings and proportions lend warmth and comfort to a modern high-rise building. Gorgeous and highly functional amenities spaces are part of the overall design. Parc Rosslyn is an innovative green building (LEED Silver), that houses some of the DC Metro areas best, brightest, and trendiest residents. A green respite in the concrete jungle with modern, comfortable interiors, and sleek city design.